While scientists do not know for certain, there are several theories as to why whales jump out of the water. Common suggestions for the behavior include the attempt to communicate or an act of courtship. Humpbacks are known best for this behavior, which is known as "breaching." Many hypothesizes suggest it is done to knock external parasites such as barnacle off the skin surface. 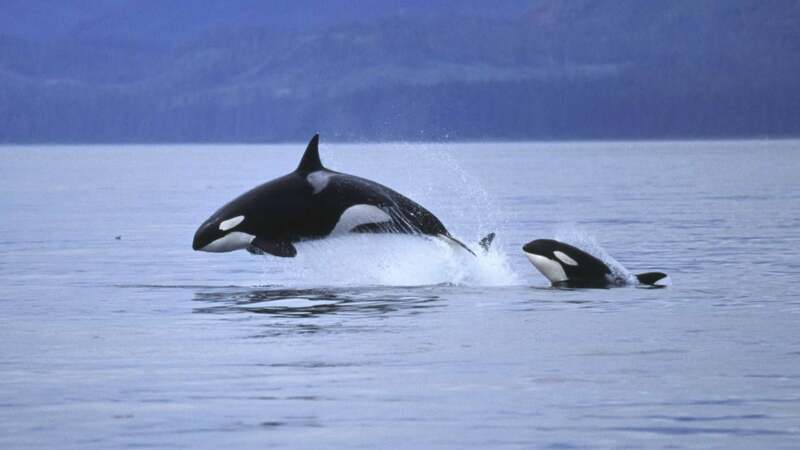 Others state the jump is a form of communication, supported by the tendency of the whales to breach more often during storms and rough seas, when normal vocalizations would be harder to hear. Other explanations include an attempt at attracting a mate or that the whale is playing, merely jumping out of the water for fun.